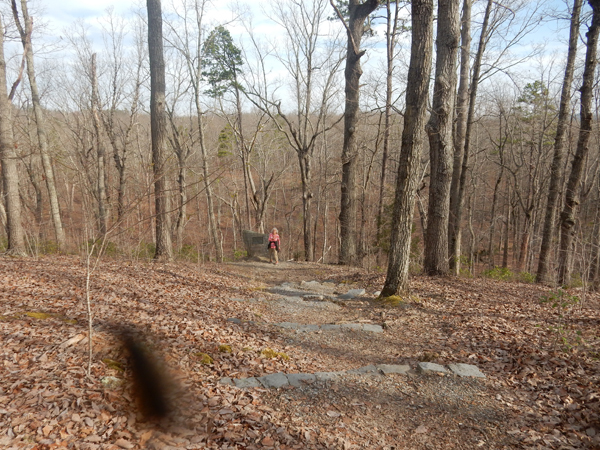 March 10 – It was about a 7.5 hour drive from Springfield to Gastonia NC, which is just west of Charlotte. We stopped in Gallipolis OH on the Ohio River to eat our pre-made lunch and check out a pawn shop and their Goodwill. We learned that Gallipolis, “Galli for Gaul or France and the Greek ‘polis’ for city,” was settled by the French in 1790 – after the Revolutionary War. 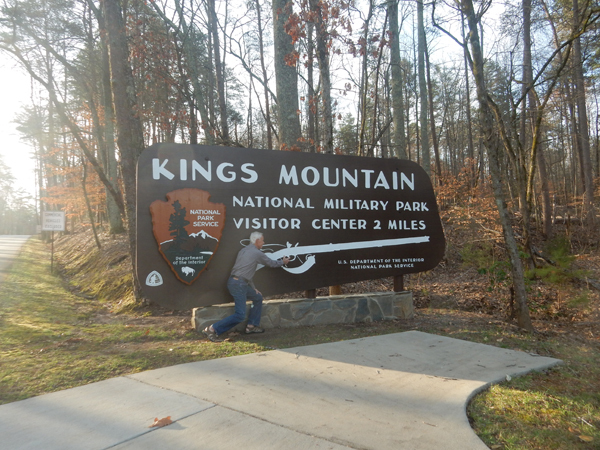 March 11 – Started our day at the Waffle House in Gastonia and then had a short drive to Kings Mountain National Military Park, SC. 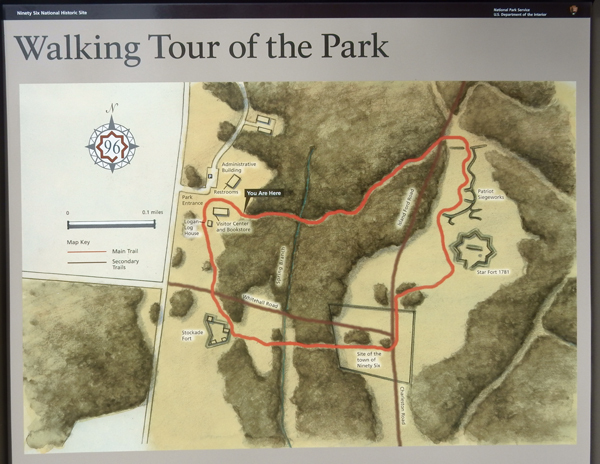 We arrived at 8am an hour before the Visitor Center opened and were able to hike the 1.5 mile self-guiding Battlefield Trail by ourselves on a beautiful SC morning. 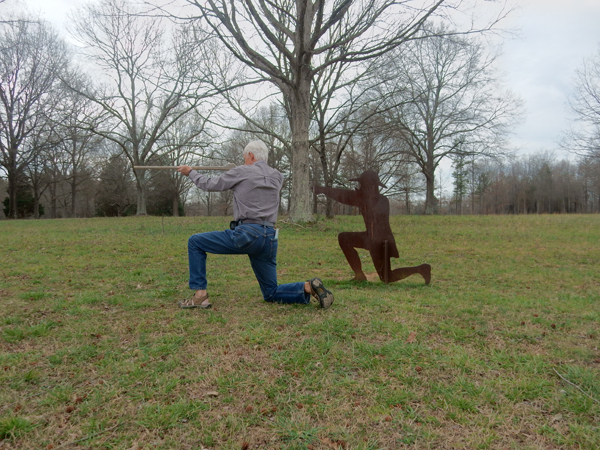 Background – Not many Americans realize the importance of the Revolutionary War battles fought in the South. 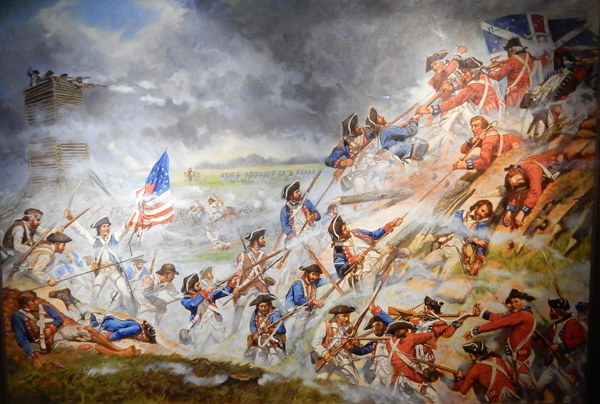 The Revolutionary War, begun in 1775, had been fought to a stalemate in the North and England turned its strategy to the South. 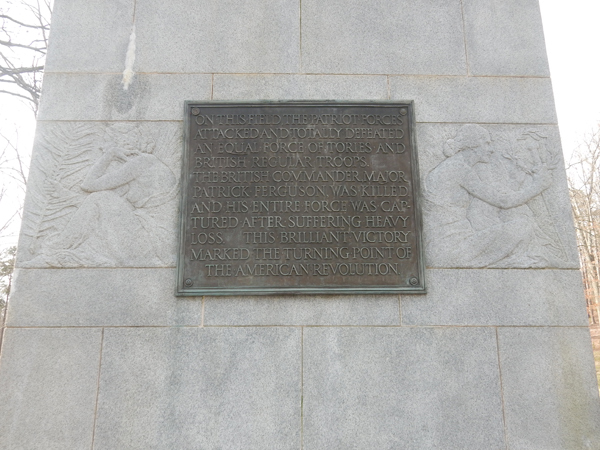 They took Charleston (America’s fourth largest city) in 1780 – it was the worst patriot defeat of the war! 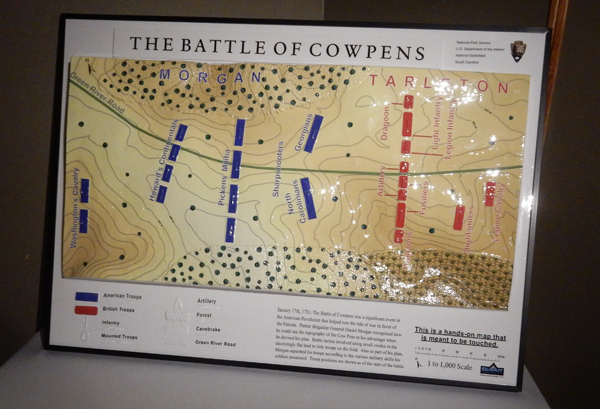 General Lord Cornwallis was then put in charge and directed to re-establish English control of the South. 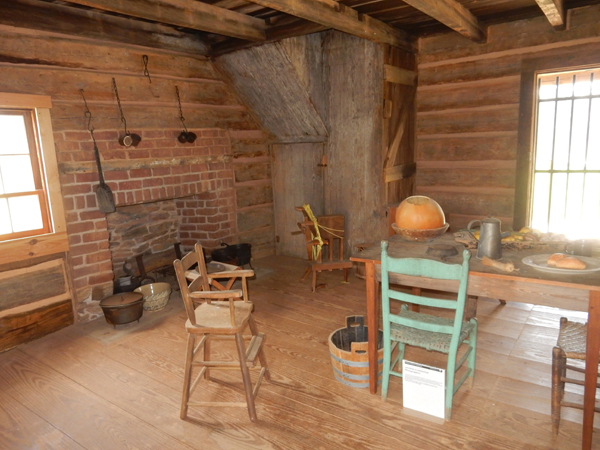 He was to move north and join loyalist troops at the Chesapeake Bay thereby closing the eastern seaboard. 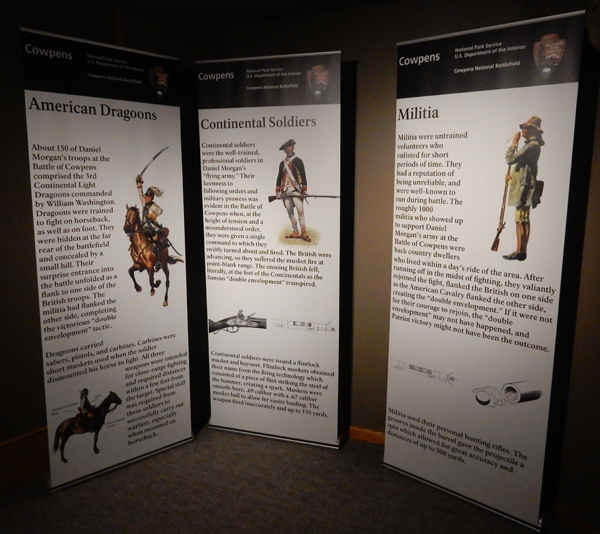 There were many loyalists who joined the British forces and together they had early successes in the campaign. 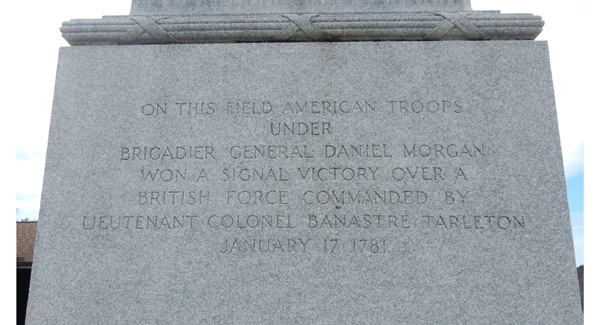 As Cornwallis moved further inland, he put Maj. Patrick Ferguson, reputed to be the best marksman in the British Army, in charge of his left flank and Col. Banastre Tarleton in charge of his right flank. 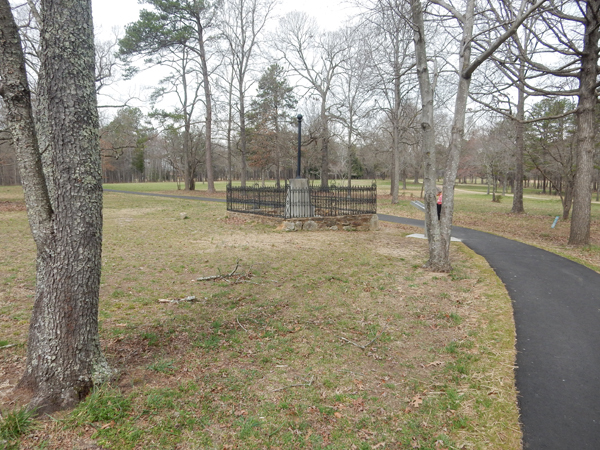 Tarleton attacked a column of about 400 Virginia patriots on May 29 near Waxhaws SC. 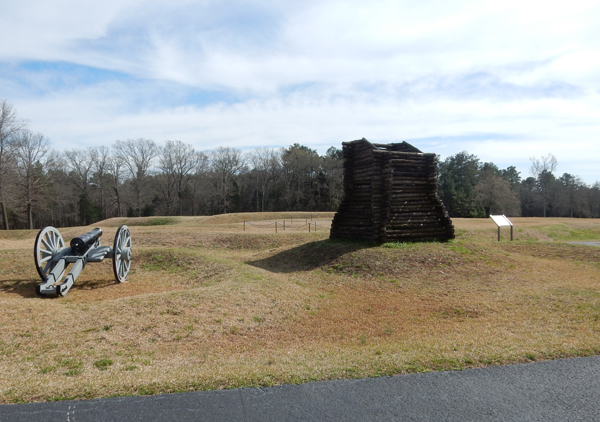 Overpowered, they surrendered, however the loyalists continued the attack and slaughtered over 200 and captured 53. 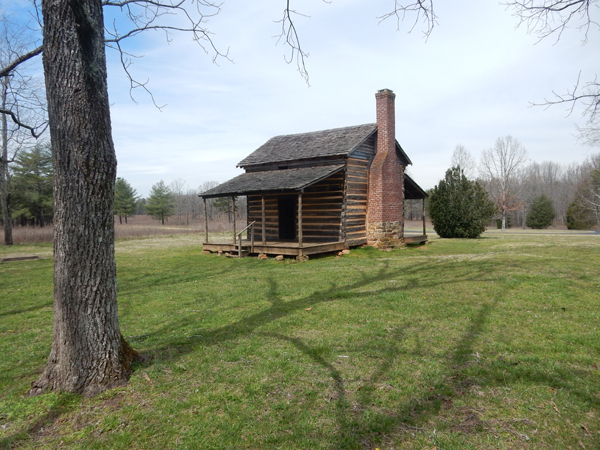 This enraged the patriots and the call went out over the mountains in the summer to gather at Sycamore Shoals TN. On September 26th patriots from TN, KY and VA started their march over the mountains (330 miles) and on route were joined by local militias. 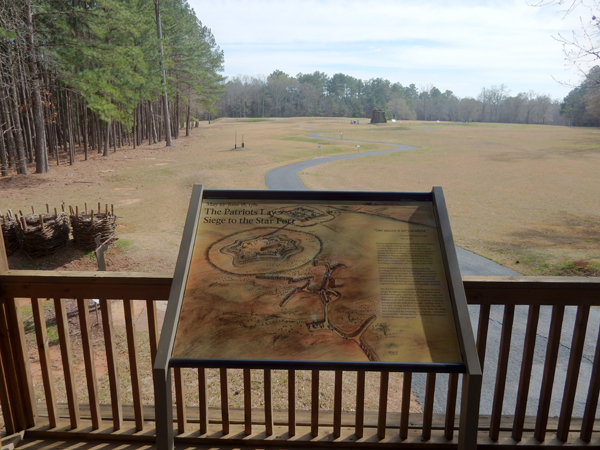 The path they took is now designated as the Overmountain Victory National Historic Trail. 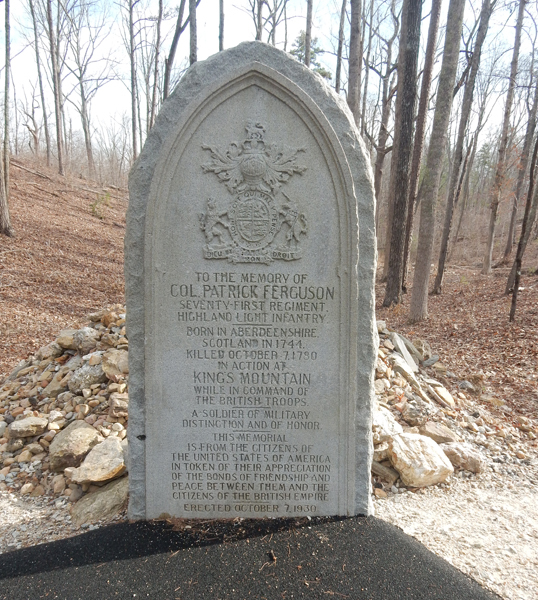 As Ferguson moved west, he sent out a message to the “backwater men” that if they did not desist from their opposition, “he would march his army over the mountains, hang their leaders and lay waste with fire and sword.” This proved to be a strategic blunder as it forced these independent “over-mountain men” to surrender to British rule or fight. By October a group of about 2,000 mostly mounted patriots were pursuing Ferguson. 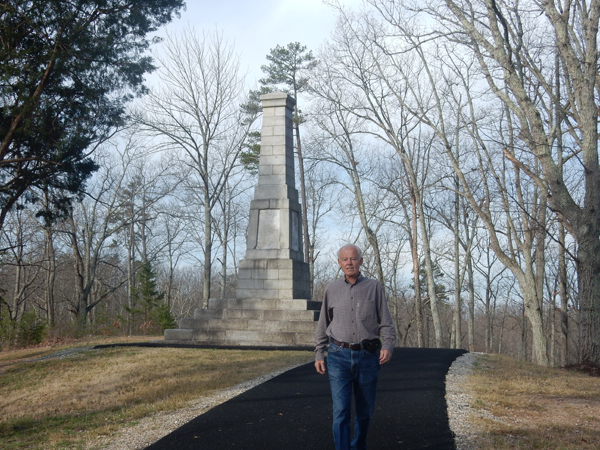 He knew they were coming and was confident that the high ground on Kings Mountain would allow him to defeat the rebels. 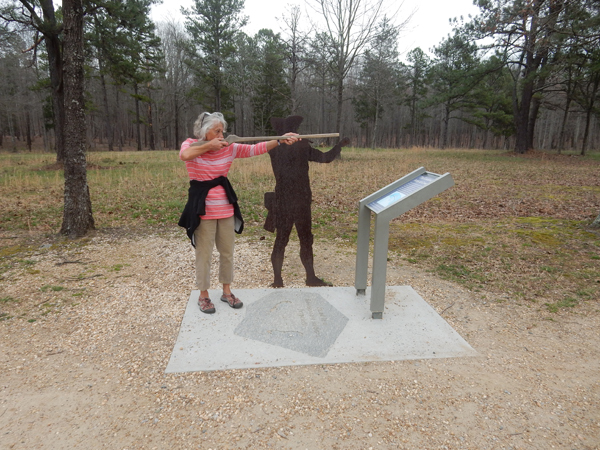 The patriots (Tories) picked 900 of their best riflemen and surrounded the ridge. 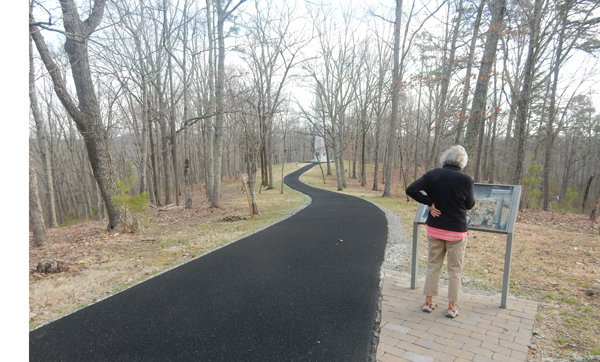 About 1,100 loyalists (Twigs) rained down musket fire. There were few uniforms of any sort so the patriots wore white paper in their hats while the loyalists wore twigs so each could determine the enemy. 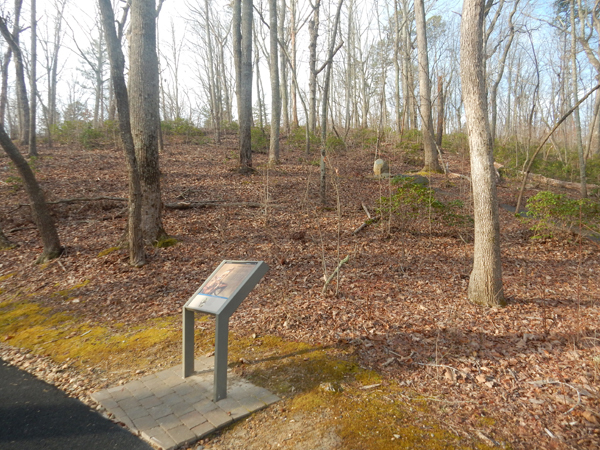 The guerrilla tactics of the frontiersmen allowed them to move up the mountain despite two bayonet charges by the loyalists. The rest of the story – Recall that Ferguson was reputed to be the best marksman in the British Army. 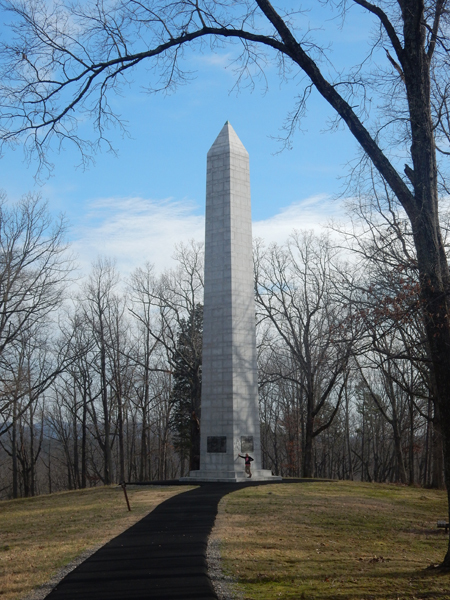 Ferguson had fought at Brandywine PA in 1777, and as the story goes, he was a scout and had George Washington in his sites. He did not know who the officer on the horse was, but choose not to fire because his back was to him. Would Washington’s death have changed the outcome of the war? 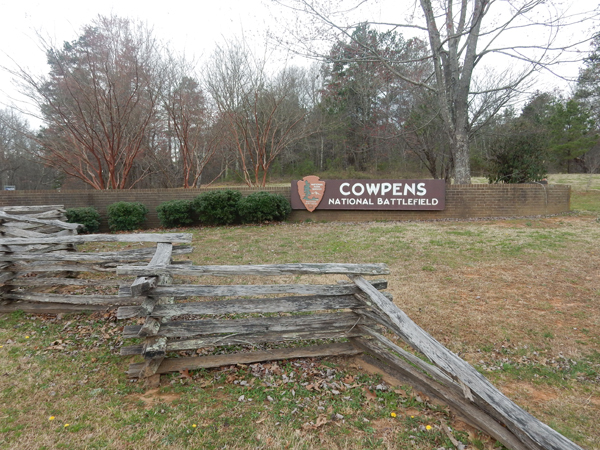 Cowpens National Battlefield – it took less than an hour to drive here from Kings Mountain NMP. 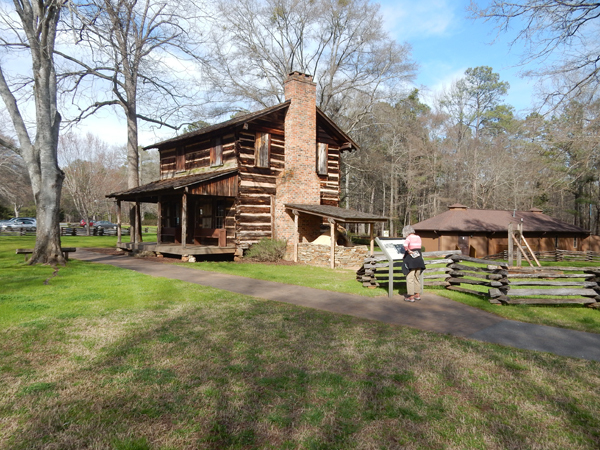 “Cow Pens” was a place where farmers brought their cows to fatten them up before driving them to Charleston. 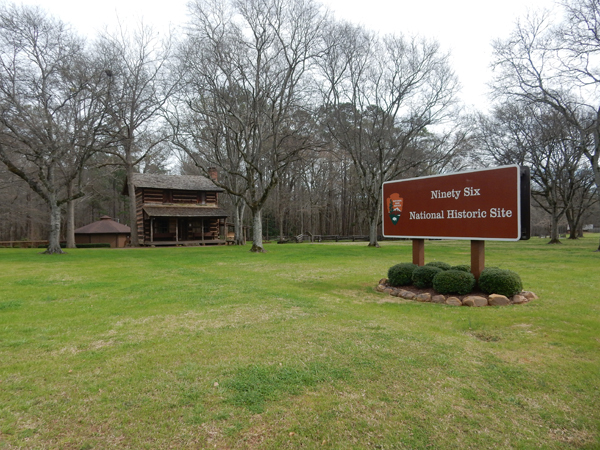 Ninety Six National Historic Site – Our third Revolutionary battle site of the day! 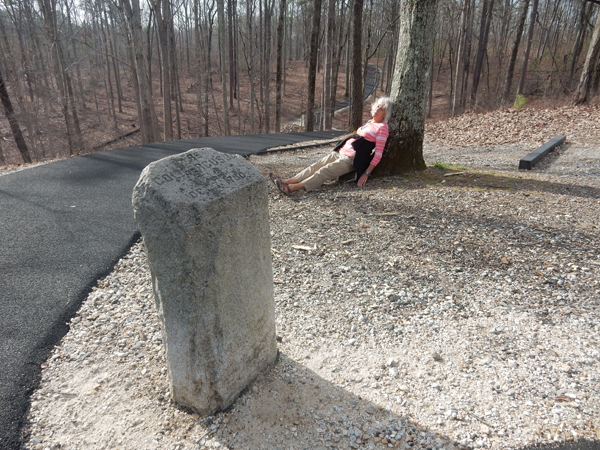 Historians believe that this crossroads got its name because it was on the Cherokee Path from Charleston to the Cherokee Town of Keowee near present day Clemson SC – a distance of about 96 miles. 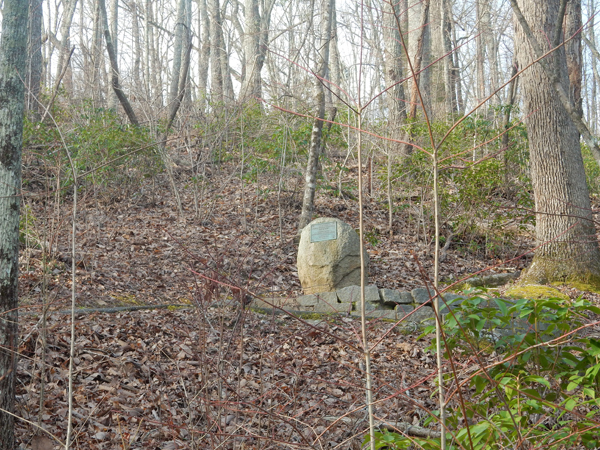 Ninety Six was a critical crossroads in the SC backcountry. 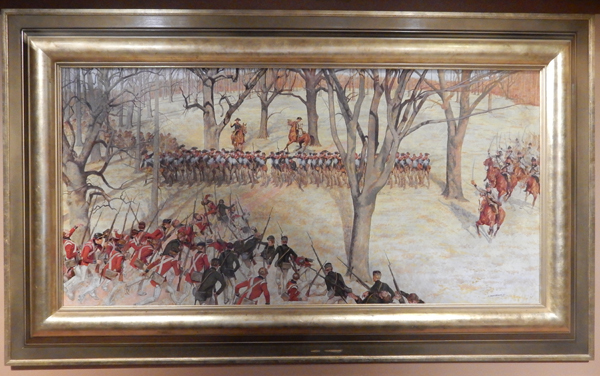 In 1780 Lt. Col. John Cruger was put in command of 550 American loyalists. 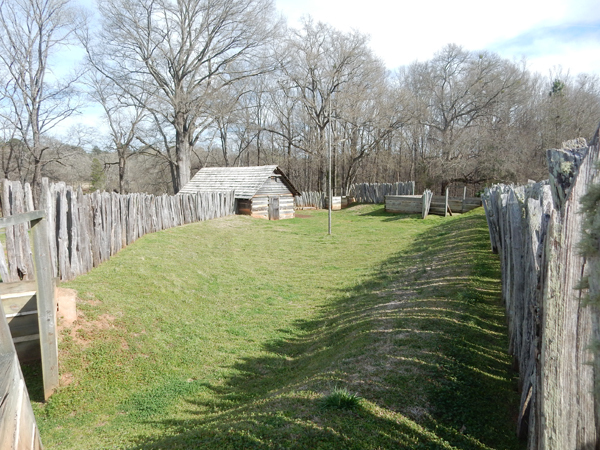 He proceeded to reinforce the walls of the town’s stockade and build a Star Fort. 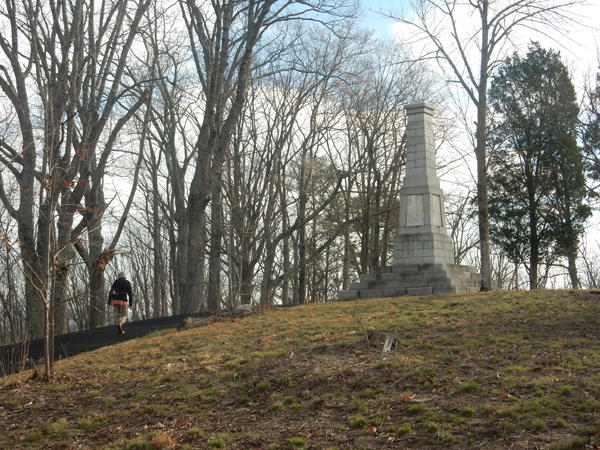 However, before preparations were complete, Greene received word that a relief column of 2,000 British regulars were on their way. 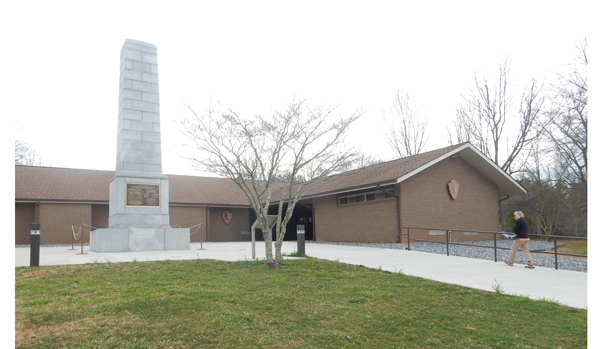 As a result, he ordered Col. “Light-horse Harry” Lee (father of the Civil War’s General Robert E. Lee) to attack the Stockade Fort and 50 volunteers to move out of the trenches and cut through the sharpened stakes of the Star Fort to prepare for an assault by the main army. 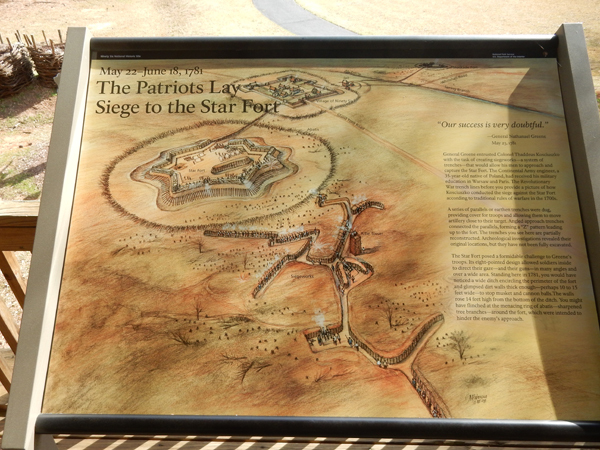 Lee captured the Stockade Fort west of the Star Fort but when Cruger ordered his troops into the ditch surrounding the Star Fort, fierce hand-to-hand fighting resulted in a stalemate with heavy losses on both sides. 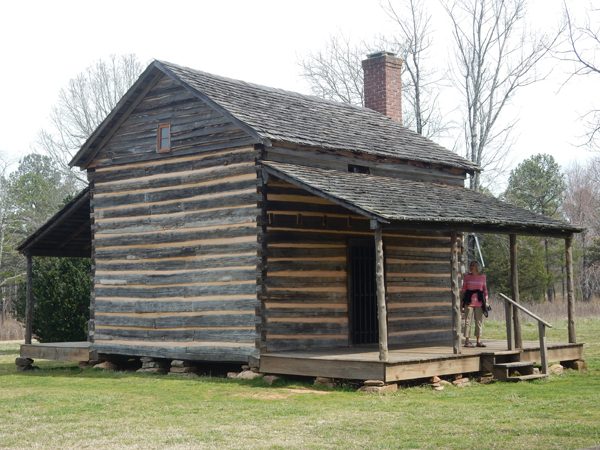 Greene did not have enough time to organize another assault and slipped away the morning of June 20th before the relief column arrived. 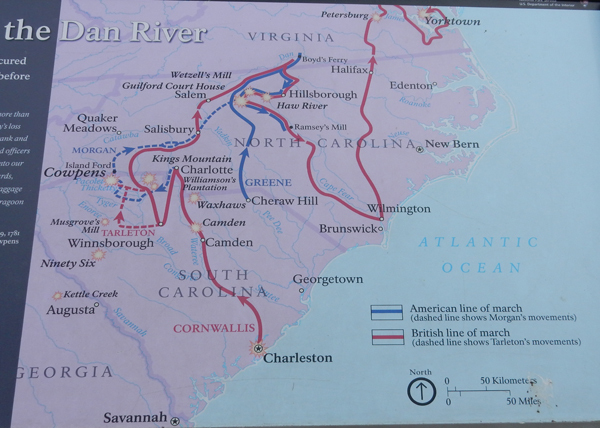 Though Greene did not win the siege, the British decided to retreat nearer the coast and leave the backcountry to the patriots. You are currently browsing the The Martin's Blog blog archives for March, 2016.